336 pages | 105 B/W Illus. Economic diversification remains at the top of the agenda for hundreds of regions around the world. From the single commodity economies of African countries and the Caribbean, to the many single industry regions of Europe and North America, as well as the oil and gas rich but volatile hydrocarbon economies. Economic diversification policies have been around for almost a century with varying degrees of success and failure. Economic Diversification Policies in Natural Resource Rich Economies takes a special interest in the policy experiences of a set of different countries that have extractive industries representing significant drivers of their economies and subsequently are significant contributors to government revenues. It explores twelve cases including upper-middle to high income economies such as Canada, Australia, Iceland and Norway, emerging economies such as Latin America, the GCC (Saudi and UAE), Kazakhstan, Malaysia and Russia, as well as the developing economy of Uganda. 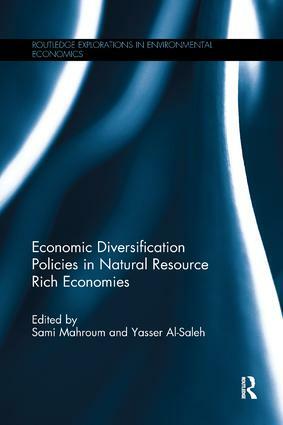 Each chapter provides a review of economic diversification experiences including policy environment, diversification strategies, desired outcomes, the role of government, and a critical evaluation of achievements. This book is suitable for those who study environmental economics, development economics and resource management. Diversification in Latin American Oil Exporters: Was No Intervention a Better Policy Option? Economic Diversification in Russia: Nuclear to the Rescue? Kazakhstan’s Diversification Strategy: Are Policies Building Linkages and Promoting Competition? Sami Mahroum is the Director of the INSEAD Innovation and Policy Initiative. Prior to that, he was a Senior Analyst with the OECD in Paris and a Visiting Reader at Birkbeck, University of London. Yasser Al-Saleh is a Faculty Member at the Mohammed Bin Rashid School of Government. Prior to that, he was a Senior Research Fellow at the INSEAD Innovation and Policy Initiative.